When you visit a big city, you usually focus on the big buildings above – but there’s plenty going on just beneath your feet as well. In particular, New York is home to some of the most fascinating abandoned subways. 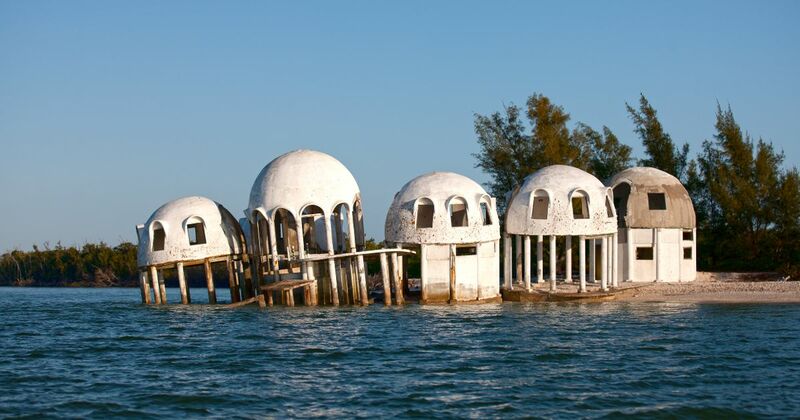 These rotting, dank locations are equally mysterious and fascinating. One abandoned subway was once the center of a 2000 documentary called Dark Days. It featured a group of homeless New Yorkers who used the abandoned tunnels as their only shelter. Outside of New York City, the city of Rochester has a very interesting piece of history that has been decomposing for decades. The Rochester Industrial and Rapid Transit Railway opened in 1927 and became known as the heart of the city. Stopping its service in 1957, the 10-mile long subway became a part of the city’s unique history. Back in 1918, the original Erie Canal was re-routed so it could pass Downtown Rochester. The subway made use of this space years later. However, since the station stopped service in 1957, many people in Rochester have wondered what ultimately became of the tunnel. Over the years, there have been many city officials who tried to figure out what to do with the subway system. Despite numerous plans and proposals, nothing ever came to fruition. While the subway remains abandoned, the underground space is a spectacular reminder that history can still grow and thrive over time. Now, the underground walls feature tags by graffiti artists. Almost every tunnel that comprises the station is covered in art that represents the people of Rochester. Perhaps the graffitied walls are the reason why many want to see the subway officially become a safe place for artists. Now that the walls are completely covered in art, it isn’t that far-fetched to make the space a home for artists or an art venue. Another idea for the abandoned Rochester station is to turn it into a local museum or historic landmark, so people can learn about the history while they explore the space. At one point, officials even considered putting a bike path for those who wanted to ride around in the tunnels. How cool would it be to take a bike ride through miles of quiet, abandoned tunnel? However, like many great ideas, these proposals weren’t fully realized due to the lack of funds. Despite the abandoned subway station never becoming an official art museum, artists are still using the space to represent their local culture. The abandoned tunnels still serve as a hub of thriving Rochester culture, a space for bikers and skateboarders to practice tricks, and a blank canvas for local artists to feature their work. If you are in the area and want to see a particularly popular spot in the subway, check out Broad Street Bridge. Where Did Your Soul Come From? Take This Quiz and Find Out!